On the eve of the much-anticipated Springbok match against New Zealand, our South African Rugby Legends added additional excitement with an impressive and legendary win of 77-7 against the Tuks Rugby Legends. 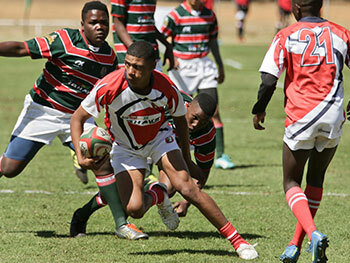 This is an annual event on SARLA’s calendar and was held at the rugby grounds of the Tuks High Perfor-mance Centre in Pretoria, Southern Africa’s leading sporting venue, to an excited crowd of fans and supporters. 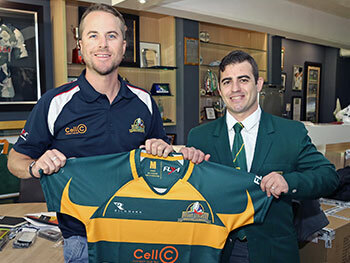 Coached by the former Springbok lock, Adri Geldenhuys, the team was comprised of some our country’s finest past talent and fans witnessed several impressive moves. These included Hendrik van der Nest’s try right at the start of the match, which was converted by Henk de Ridder. Van der Nest then scored a second try, further proving his skill with the conversion of 3 of the tries. Rudi Bezuidenhout, Anton Vlok, Giepie Wentzel, Pieter Claassen and Henk de Ridder contributed to the score with a try and conversion each followed by further tries by Helmar Brey-tenbach, Sam Gerber, Nico Luus and Sacha Marot, plus a wonderful drop kick con-version from the corner by Rudi Dames. 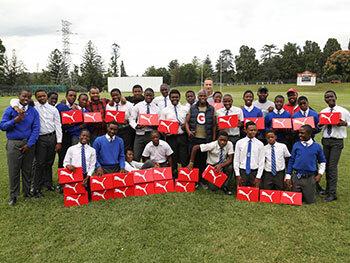 Before the match, former Springbok fullback and SARLA CEO, Stefan Terblanche and Nico Luus facilitated a rugby clinic between the legends and primary school players from the club, passing on valuable rugby skills to the star struck youngsters.